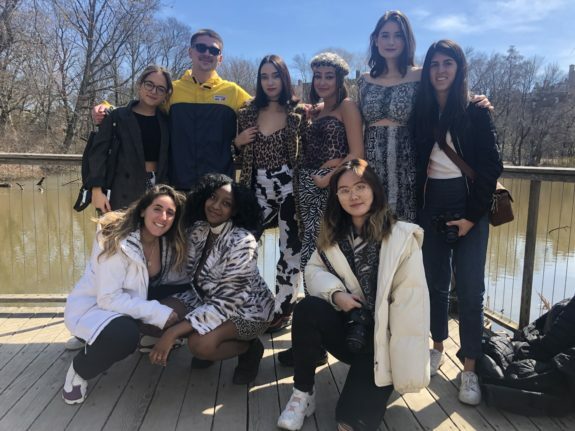 On March 21 at an undisclosed, outdoor location in Boston, Off the Cuff magazine, a fashion magazine originally founded by COM students, wrapped up its fourth and final photoshoot of this semester. 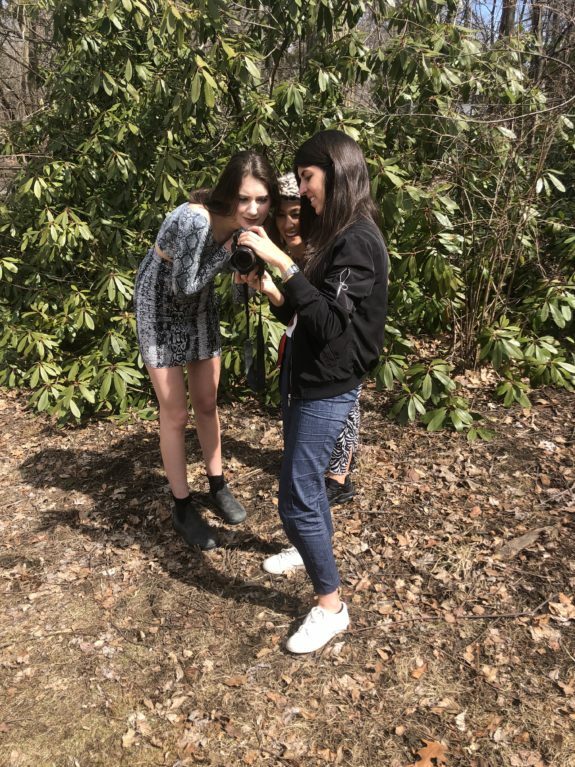 Following the wrap, Creative Director, James Krolewski (QST ’19) and Online Content Director, GianCarlo Lobo (COM ’20) shared their Off the Cuff (OTC) experiences with us and gave us a glimpse into the responsibilities that go into running the publication. Two models pose for Off the Cuff’s outdoor photoshoot. Krolewski has been working with the publication for a year and a half and sees it as a “creative outlet” to express his ideas. “I don’t have a creative major so this [publication] is a good outlet for me,” Krolewski said. Krolewski’s main responsibility is to use his creativity to come up with the themes and aesthetics for each issue and photoshoot. His creative inspiration comes from a range of eclectic ideas, for which he credits Instagram. Favored photographers, trends, and themes form part of his inspiration and help him create his desired aesthetic. Krolewski looks for “aesthetics [he] knows [he] can produce.” “I don’t think too deeply about [my ideas] and I just go with what I have drafted out. I save cool things I see [online] and try to create originality out of it,” he said. Krolewski draws mood boards for photoshoots beforehand to represent the “vibe” of the shoot. Then, he asks other staff members to pitch in their ideas to contribute to the greater part of the project. This process is called a “pitch shoot,” and allows all members to contribute their ideas to a photoshoot’s execution, making the photoshoot more inclusive and collaborative. Reviewing the photographer’s handy work. Meanwhile, Lobo focuses on staff collaboration within the publication and enhances communication networks within OTC. He defined his job as “the glue that holds collaborative projects together.” He even created a database channel in which staff members can communicate. He described his role as a great learning experience, and said, “It taught [me] how to combine [my] creative and logistical side.” He added that it also taught him “how to make [my] ideas a reality,” and has given him managerial skills that he can use in his future career. 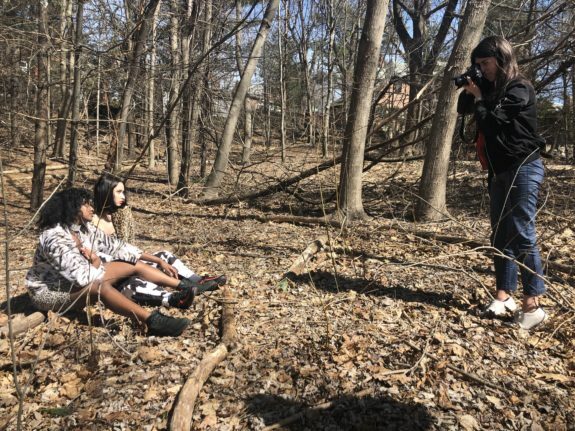 Lobo’s goals for the publication go beyond fashion editorial content as he aims for OTC to produce multimedia content on a more frequent basis. 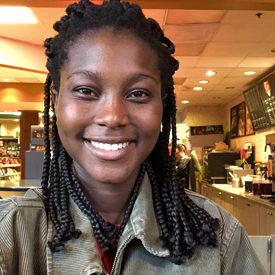 “I want to expand OTC’s content to journalism and other media platforms while still being true to the publication’s [personality]… I want the content to be on the same standard of top publications and make it more engaging to wider audiences,” Lobo said. He also wants the publication to have a greater “interactive online presence” and wants to make use of the many collaborative ideas from the staff. The publication staff has been growing quickly over the years and Lobo sees this as an opportunity for the wide range of members to showcase their creative skills. He added that the growing staff numbers can make things harder to manage at times, but the publication still tries to welcome as many people as it can. “We want to make sure that everyone is involved and we remind members that what they bring to the table is important,” said Krolewski. Off the Cuff staff members at their final photoshoot of the semester. Lobo and Krolewski both feel that OTC gives its members “hands on experience,” and acts as a “…creative outlet for students to perform whatever passions they may have.” The publication is currently welcoming students from every major to join its staff.